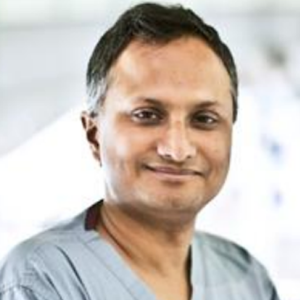 Professor Hashim Ahmed is currently Chair of Urology at Imperial College London. Hashim is an internationally renowned expert in prostate cancer diagnosis, imaging and biopsy as well as minimally invasive therapies for prostate cancer such as HIFU and cryotherapy – either whole-gland or focal therapy for primary prostate cancer or radiorecurrent disease. He has taught dozens of surgeons in these techniques in the UK and around the world and given numerous invited international lectures in this area. He has an extensive research portfolio with about £6M in grant income as a principal applicant and co-applicant to a research programme of approximately £14M. He has published over 150 peer-reviewed papers in areas that have led to key changes in the way we diagnose and treat men with localised prostate cancer. He currently holds a £2.1M Wellcome Trust Senior Clinical Research Fellowship and is Director of the Wellcome Trust Prostate Research in Imaging and Surgical Methodology (PRISM) Programme.